Discover Kampot on a half-day tour by tuk-tuk or motorbike—the choice is yours! View Kampot’s stunning rice fields, the iconic salt and pepper farms, natural caves, the Secret Lake, and a mountain on our half-day tour! 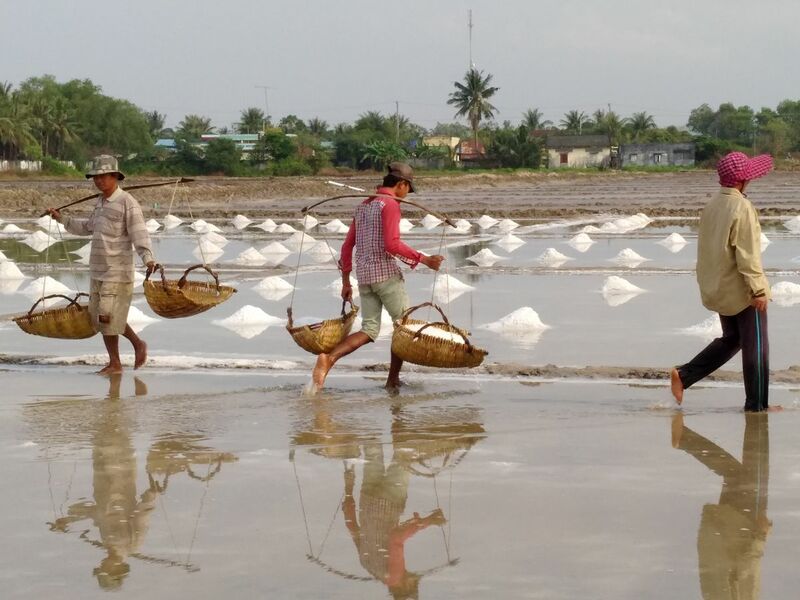 Learn the importance of Cambodia’s salt industry to the local community of Kampot. See the processes involved in this industry, and try to sneak a taste if you’re lucky! Paddy farming is a major agricultural activity in Kampot, and many local farmers still use traditional methods to farm and harvest rice. You will learn about the different varieties of pepper and its plantations. This is also a great stop for photo opportunities! Moving away from Kampot’s economic activities, we will take you to the “Secret Lake,” originally an irrigation dam built during the Khmer Rouge regime. This is a peaceful and lovely spot to relax and swim at. Learn more about this historical temple from your guide, and be sure to take lots of photos! Discover Kampot on a full day ride by motorbike. View Kampot’s stunning rice fields, the iconic salt and pepper farms, natural caves, the secret lake, and a mountain.